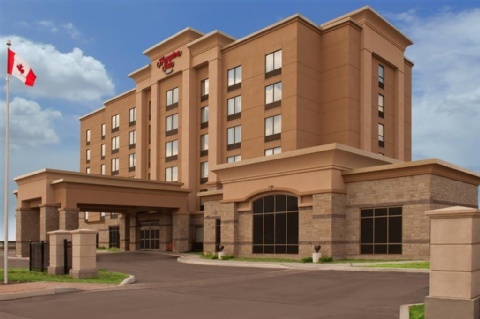 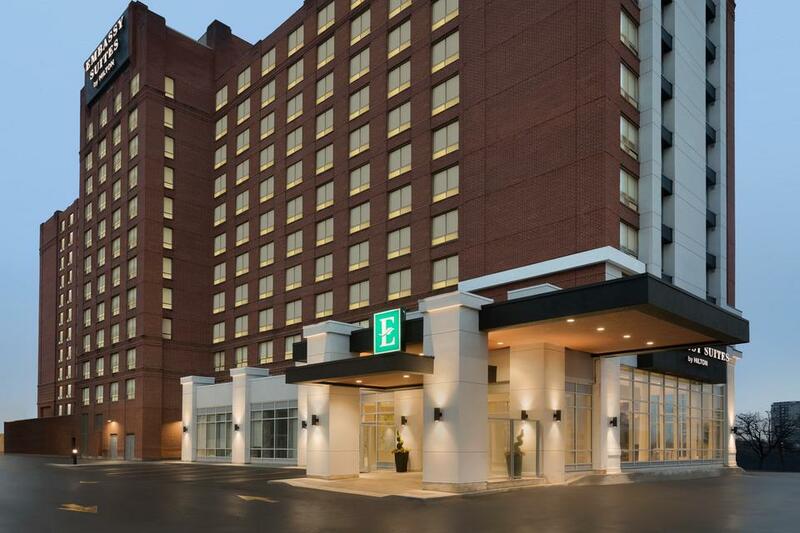 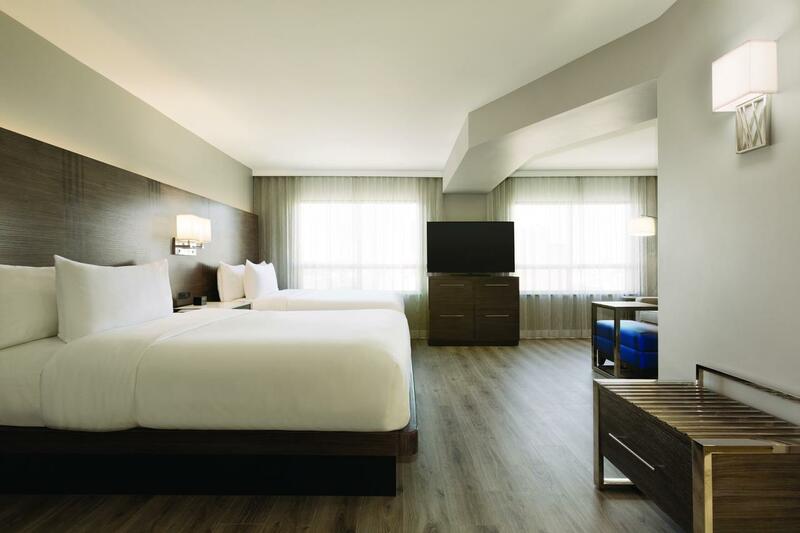 Welcome to Embassy Suites by Hilton Toronto Airport a bright and modern hotel with all-suite accommodations. 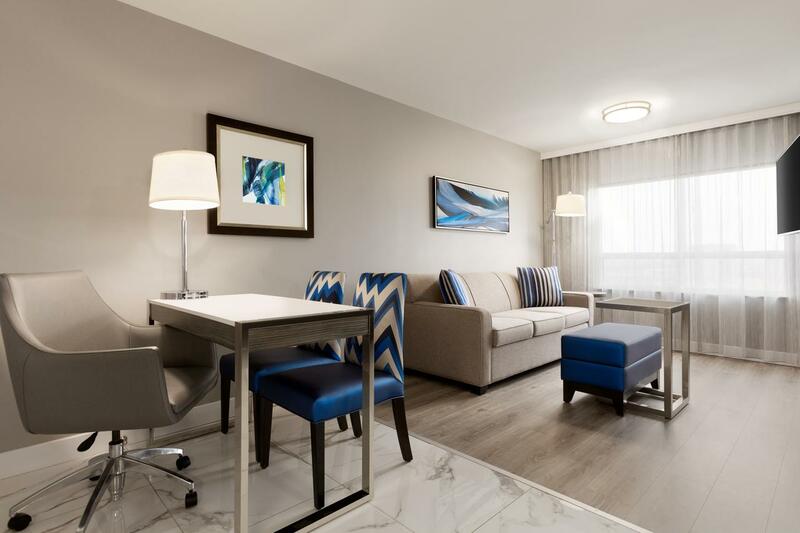 We're a quick walk to restaurants and Royal Woodbine Golf Club and minutes from the International Centre Toronto Congress Centre Woodbine Racetrack downtown Toronto and Canada*s Wonderland. 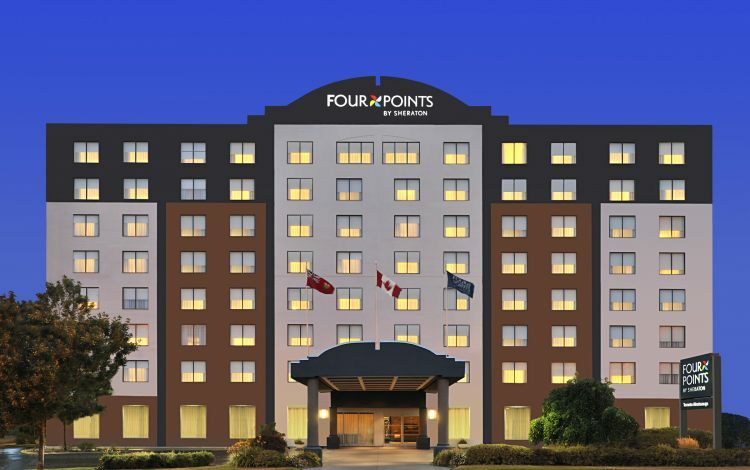 Hotel guests enjoy complimentary 24-hour shuttle service to/from Pearson /YYZ/ Airport. 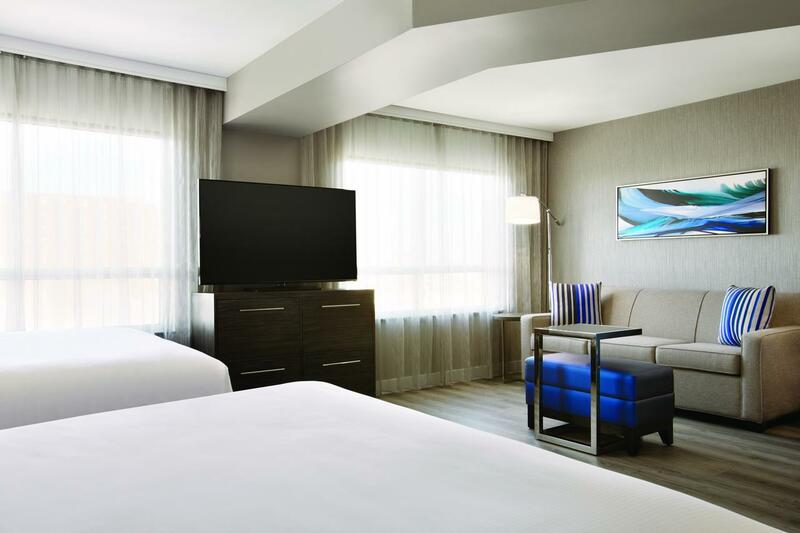 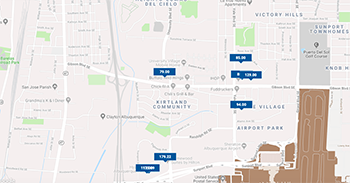 Our stylish suites feel like home and feature complimentary WiFi a 50- or 55-inch HDTV microwave mini-fridge wet bar coffee maker desk and sofa bed some suites also have airport runway views. 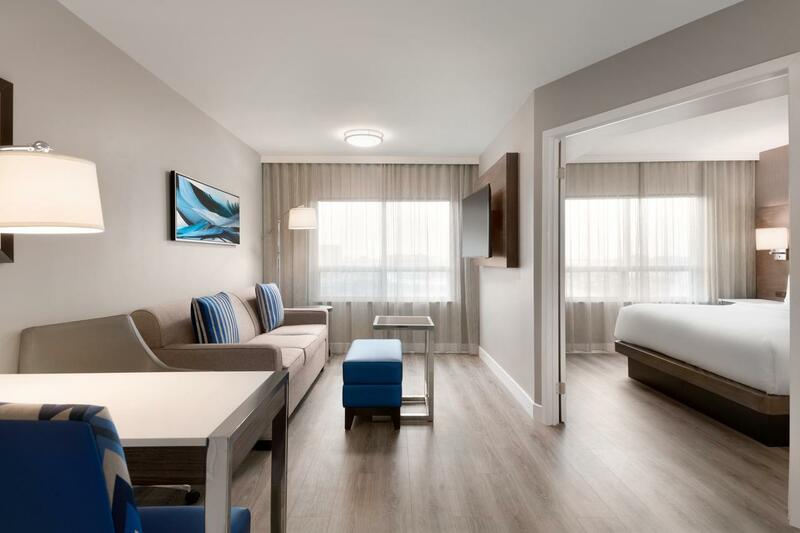 Higher floors offer two-room suites with a separate living area second HDTV cozy bathrobes newspaper delivery and views of the runway or Woodbine golf course. 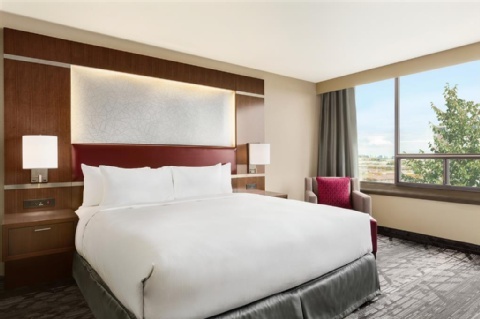 Indulge in a free breakfast with made-to-order eggs each morning and join us at our complimentary Evening Reception* for drinks and a light supper. 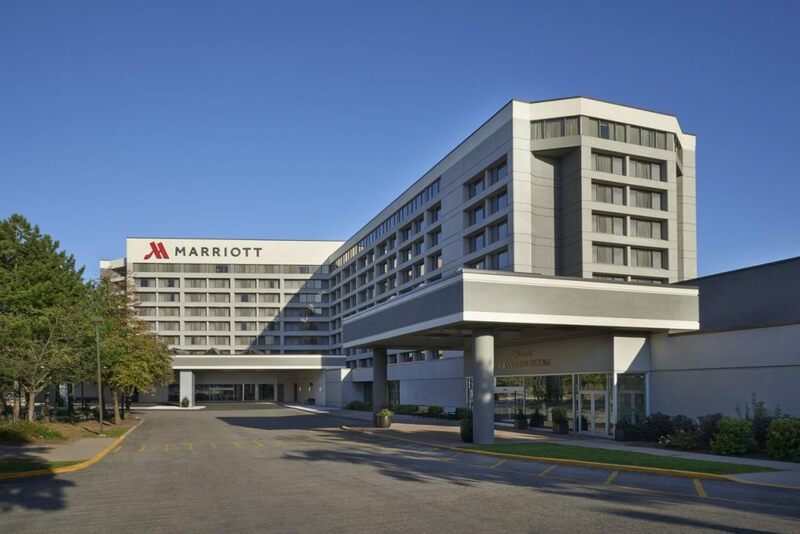 You*ll love our warm and casual restaurant also offering daily room service. 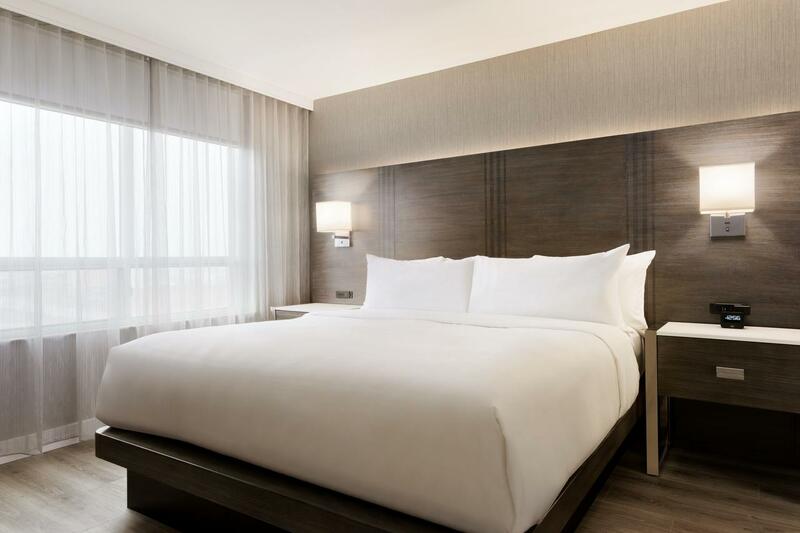 We have all the amenities you need for a busy stay in Toronto including a 24-hour fitness center gated covered parking a 24-hour business center with print/copy services and a guest laundry area.